George Takei: "Welcome to the Resistance"
The Resistance is where the next heroes of our movement will emerge. Be ready, be strong, and be vigilant, says George Takei. In the wake of Donald Trump's election victory, many have written to me asking how to move forward. It is understandably difficult for our community to accept this setback, from the risk of our hard-won rights being eroded to the fear that dark forces of hatred and intolerance are now emboldened and have begun to strike. Our concerns are not diminished by the president-elect’s reassurances over marriage equality, particularly as he continues to name some of the most outspoken bigots to important posts within his cabinet and inner circle — and as we consider the record of his vice president, Mike Pence, while governor of Indiana, or Jeff Sessions, an enemy of equality he has nominated to head the Justice Department. As both an Asian-American and an LGBT American, I have borne witness to some of the most egregious injustices and tragedies of our national history, where both the public and the politicians turned against us to devastating effect. Many know that I grew up in internment camps where we were held without trial or even charge for years, simply because we happened to look like the people who bombed Pearl Harbor. Fewer remember that, as a young man, it was illegal for me in many states to marry a Caucasian person due to antimiscegenation laws. And as a gay man, I stayed deeply in the closet out of fear that I would not find work as an “out” actor. That same fear rendered me silent even as the scourge of the AIDS epidemic in the '80s and '90s took so many of our community, while the government turned a blind, callous eye. But know this: I do not look upon all those difficult years solely as blights in my life. To the contrary, they helped forge who I am today. As both an ethnic and sexual minority, an “outsider” in nearly every sense, I was forced to learn the rules of society very early on. Unlike my straight white male counterparts, out of pure necessity I grew keenly aware of the way our society was ordered. I had to take note of the system so that I did not run afoul of it. That meant that, without realizing it, I became highly self-aware as well as a careful observer of others, far more so than those simply living out their lives, who blissfully had nothing to hide, nothing to fear. With that came a certain social adeptness; I learned how to model and shape my world as a result. And I grew tough, my own self-critiques far outpacing anything society could level at me. In today’s political environment, we find ourselves again outsiders, forming a core of those opposed to the powers in Washington and in many of our state capitals. But this is not unfamiliar territory. It is, in fact, where movements were born. The greatest moments in civil rights, from Selma to Stonewall, Seneca Falls to Standing Rock, sprang forward not from eras of harmony, but out of bitter conflict. It is axiomatic that little worth fighting for has ever come without a fight. New veterans of our struggle will emerge from the coming clashes. And while we all wish that future generations would not have to face the terror, isolation, and even deadly effects of hatred and bigotry, we are reminded today, more than ever, that the struggle may truly never be over. Enemies of progress, equality, and justice often slip away unnoticed for years, regroup and change their names and strategies, then re-emerge to challenge what we have gained. This does not mean, however, that we are starting again from ground zero. When they came for my family and my community back in 1942, very few others stood up for us. The Japanese-American community felt alone. Similarly, when drag queens rioted at Stonewall in 1969, the LGBT community also had few allies. But today, when the incoming administration threatened Muslim registries and racial profiling, the progressive response was collective and swift to say we would register as well. When Native Americans camped out in the freezing cold to oppose the Dakota Access Pipeline, veterans came to stand with them. And when Trump began to name a cabinet of homophobic and hateful bigots, communities of all colors and creeds decried it. We truly have grown stronger together, and with each new assault upon our dignity and humanity, we will grow stronger still. So welcome to the resistance. It’s where the next heroes of our movement will emerge. Be ready. Be vigilant. Be strong. 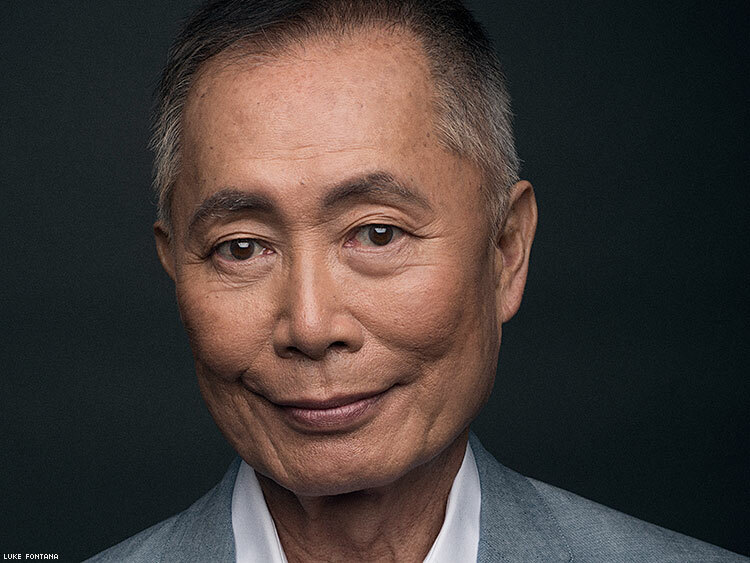 GEORGE TAKEI is an actor, entrepreneur, activist, and social media supernova and the recipient of the 2014 StartOut Leadership Award. Learn more about StartOut in the video below.